I thought I would introduce myself. I'm John and I'm the co-owner/head mechanic/co-driver for JoBo Racing. We just recently bought a already built '91 Integra. I found a good deal and couldn't pass it up. I'm new to Acura/Honda. But, I've built and raced a '93 Mazda 626 for the past 4 years. So I am not new to racing and wrenching on a race car. To see all the gory details checkout this massive build thread. So, I'll be looking for info/advice and sharing lessons learned. I'll probably start a build thread for the car to log everything. I've found it very useful in the past. First question, where should I post a build thread for a '91 Integra endurance racer on this forum, here or the "Your Integra" forum? Jeffaome and Shuudoushi like this. Oh I forgot to mention, we race with the World Racing League here in Texas and Oklahoma. 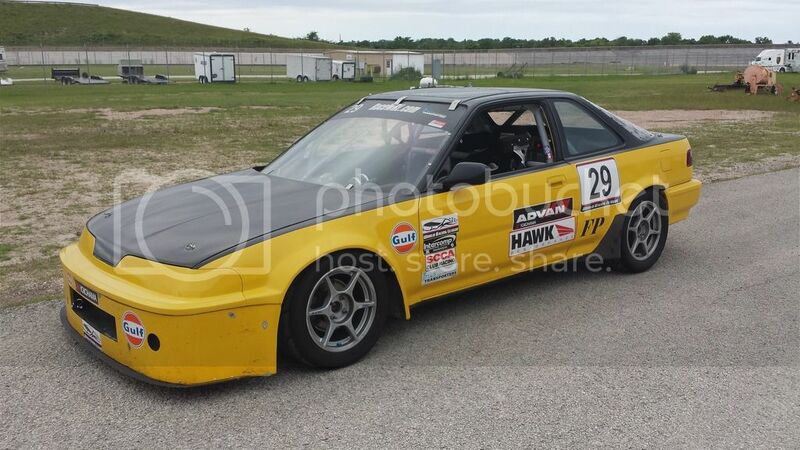 We've also raced the previous car ('93 Mazda 626) with 24 Hrs of LeMons and ChumpCar as well. "Your Integra" is where 99% of all build logs end up on here, so yes.